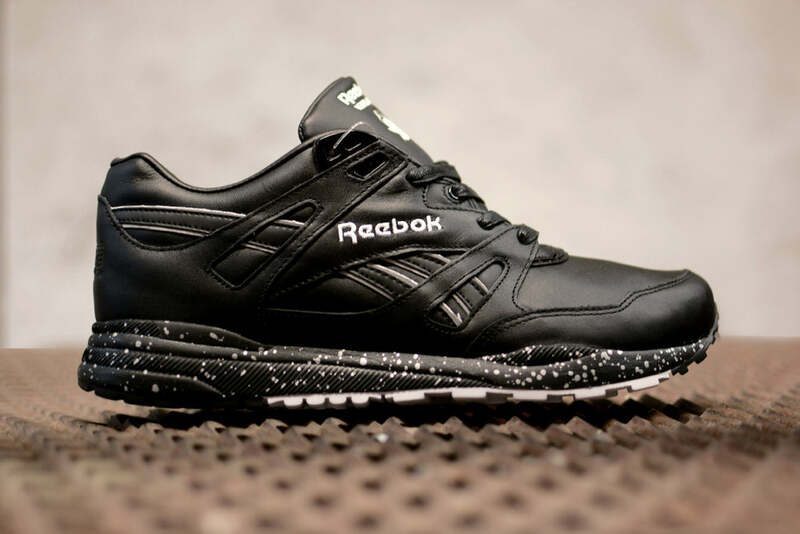 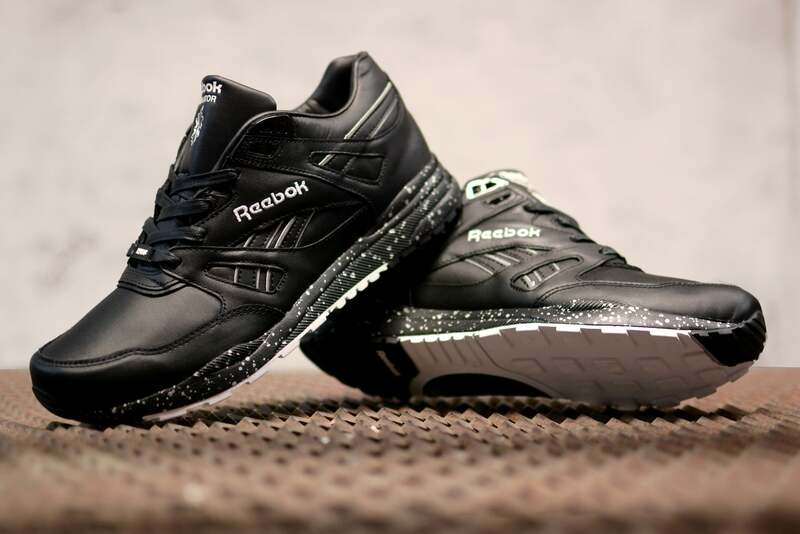 Reebok continue to honour the 25th anniversary of the Ventilator CN, this time collaboration with Las Vegas based boutique Crossover. 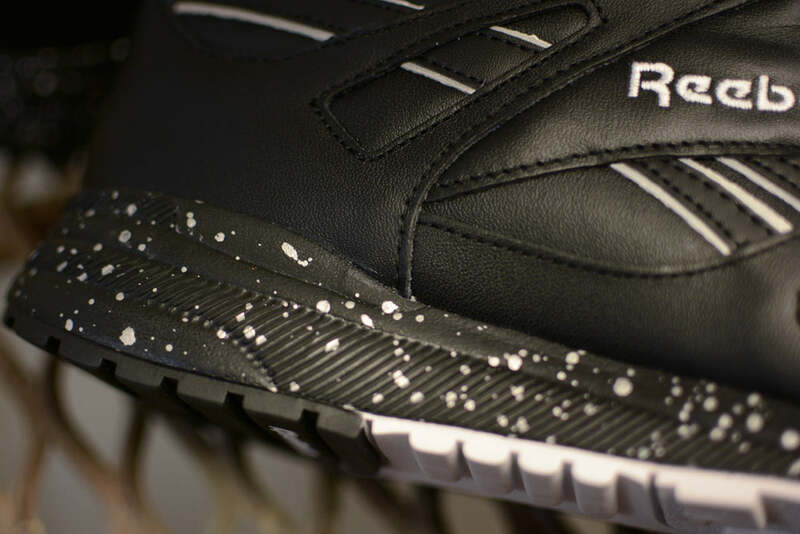 The shoe is a tonal affair in soft black leather, accented with a white speckle effect on the midsole and white outsole. 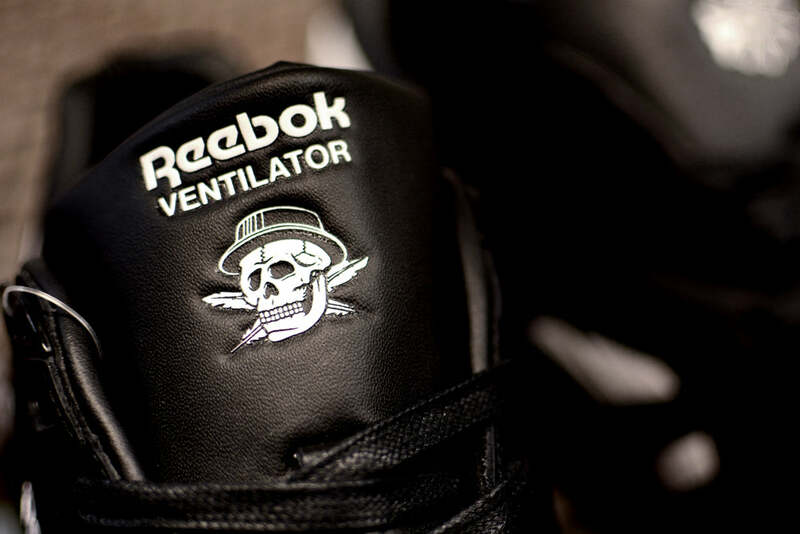 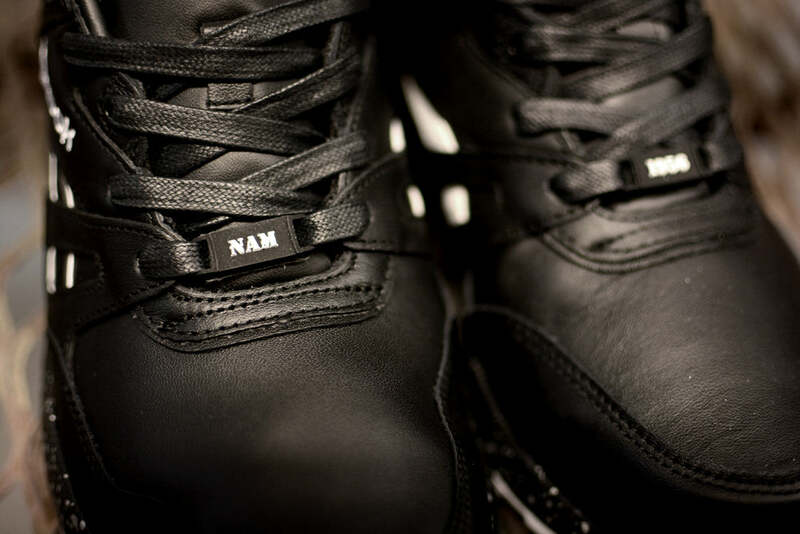 Bespoke sign offs include a Skull motif embossed on the tongue and rubber lace charms.